Puducherry : The Lt. Governor, Puducherry Dr. Kiran Bedi addressed the 35th National Symposium of Heads of Police Training Institutions here today. The two-day Symposium is being organised by the Bureau of Police Research and Development (BPR&D), Ministry of Home Affairs (MHA). Speaking on the occasion, Dr. Kiran Bedi said that e-learning, which is the theme of this year’s symposium, cuts the cost, time and distance. She said that e-learning is an integral part of Digital India initiative of the Central Government. The trainer should put in complete effort to teach the trainees, because the outcome of the training depends on the way the trainer is, she added. 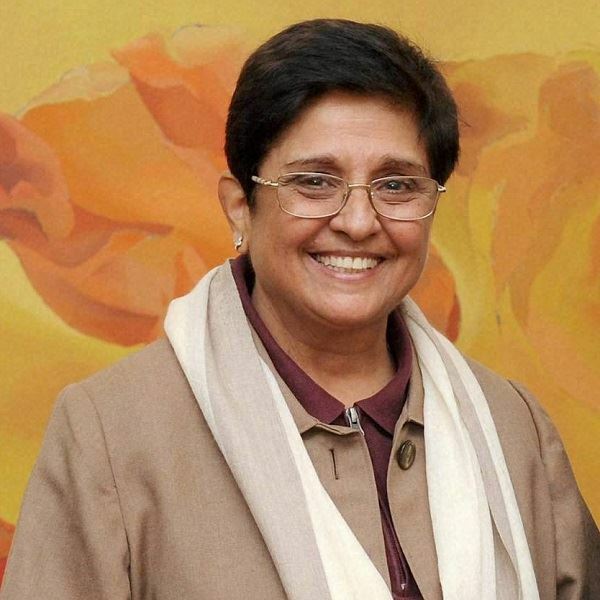 Dr. Kiran Bedi said that every day is a training or learning day, whether it is life or profession. She said that BPR&D and Sardar Vallabhbhai Patel National Police Academy are the hubs of training for the police officers and these hubs should meet regularly to share the best practices in training. She said that these hubs should also be the source of content/ material for e-learning. Dr. Kiran Bedi said that there should be collaboration of IITs, IIMs and other management institutions which can do collaborative research on training and suggest good training practices. She said that the police have a crucial role in society, which can make India a better place to live in. Dr. M. C. Borwankar, Director General, BPR&D said whether it is academic or police training, we should optimally utilize the human potential, by giving the best to the trainees. She said that the resolutions passed during these National Symposiums are taken over by the five Central Detective Training Schools (CDTS) at Chandigarh, Jaipur, Ghaziabad, Kolkata and Hyderabad, which collaborate and work with BPR&D. She said that in 2016, the CDTS have trained 4000 police officials by running 200 courses. She said that BPR&D is collaborating with institutions of excellence like IITs and IIMs for the development of leadership qualities of police officers. She said that there is a huge gap in basic training of police officials and to bridge this gap, e-learning can act as one of the important tools. Dr. M. C. Borwankar also said that today’s symposium is an opportunity to discuss, analyse and share good practices of training, so that the gap in training can be minimised. The Bureau of Police Training & Development (BPR&D), under the Ministry of Home Affairs, is the apex body at the national level to promote excellence and best values in policing. The objective of BPR&D is to equip the Indian Police to meet the challenges of the increasing diversity of crimes on the one hand and the rising public expectations on the other. This is sought to be achieved through training, research and modernisation of the police forces. Senior officers from MHA, representatives from state Government and UTs, IITs, IIMs and National Law Universities were also present on the occasion.